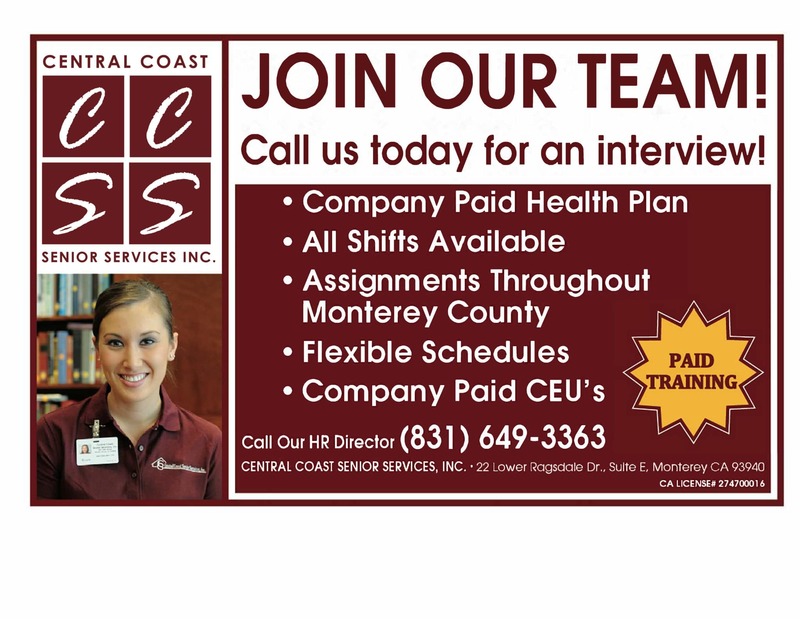 Our Education Team | Central Coast Senior Services, Inc.
Central Coast Senior Services, Inc. has a formal introductory training program as well as ongoing education and training that far exceeding State Licensing requirements. Additionally, all of our Home Care Managers provide our Personal Attendants with hands on training in the home. Kathee McFarland, Home Care Educator, is a Licensed Vocational Nurse with over 25 years in home care and hospice. She is a Certified Geriatric Care Manager. Kathee is responsible for delivery of the CCSS training program and proctoring newly hired Personal Attendants and providing in the home hands on training for Personal Attendants to ensure they have the requisite skills to meet the customer service needs of our clients. Kathleen Griffon, Continuing Education Provider, is a Registered Nurse. She provides CCSS employees with Continuing Education classes year round including weekend classes to meet the training requirements of CCSS for the Personal Attendant staff. Kathleen has over 30 years of Home Health experience. Kathleen is also certified by the State as a Continuing Education Instructor so the courses are also Certified Continuing Education units for Certified Nurses Aides and Certified Home Health Aides. Kathleen is a great educator and is loved by the CCSS staff.